The tail that stores fats and helps it swim. Venom that helps the platypus to fight off the attackers. There is a spur in the foot which stings. The venom is a DLP which stands for Defensin Like Protein. The venom doesn't always kill it can also wound predators too. The venom can not kill a human it will only hurt for several days. These adaptations are physical and it's also there behavior too. The tail is a physical adatation, it is physical because it uses it to swim. the venom is a behavior since it is used for fighting, attacking ,and defending. They also have flippers to help them swim. If the plastypus does not have these adaptations it the platypus would never be able to swim or attack with venom to stay alive.Instead it would drown or die because it can't defend itself. The platypus lives in australia. 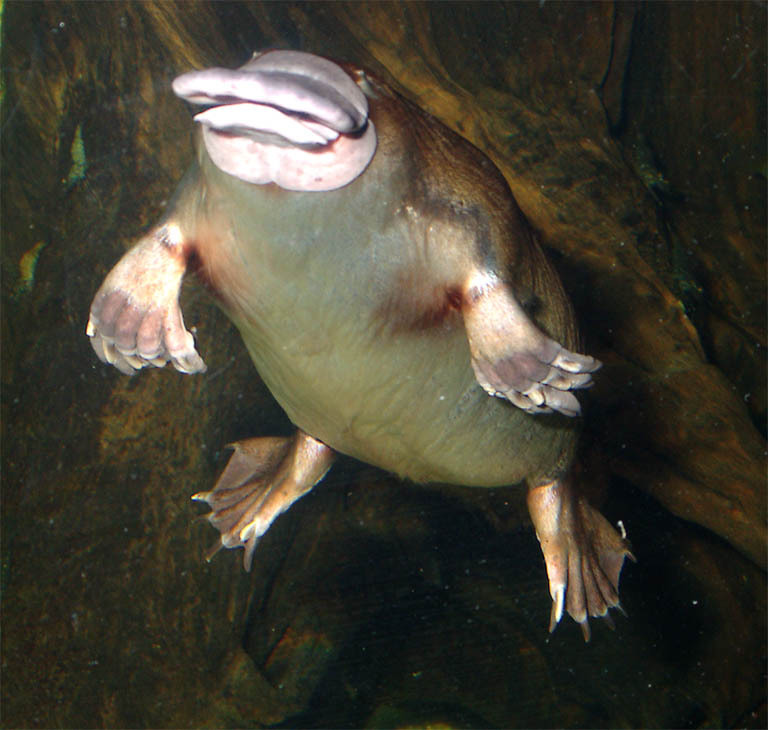 The platypus spends an average amout of 12 hours everyday searching for food. A platypus is a carnivore. It mainly eats shrimp, crayfish, insects, larvae, and worms. 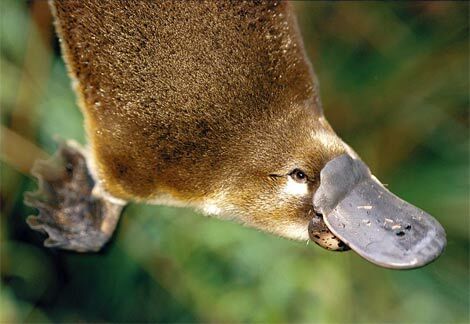 The platypus doesn't use it's bill to eat it actually uses it's mouth which is located under the bill. The average platypus eats 20% of it's body weight every day. That means it's like a 130 lb. human eating 30 lbs. of food a day. I hope you liked learning about the platypus!!!!!! !